There’s no denying that apartments can be a bit short on storage space. But if you ignore that problem, apartments can be the cutest, coziest living spaces ever! Luckily there are so many ways you can increase the storage in your small apartment. We picked our five favorite and most useful tricks and projects to make your apartment feel twice as big (while keeping that cozy feeling). 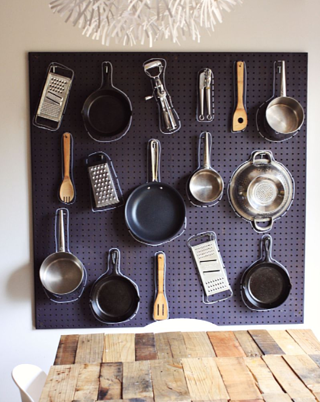 DIY Kitchen Pegboard - Pots and pans take up a ridiculous amount of space in any kitchen, no matter the size. They’re all different shapes and sizes, so they never fit nicely in the drawer, and they also seem to make the drawer get stuck every time. A great way to free up drawer space, and add an interesting visual event to your kitchen is to make this easy DIY pegboard. All you need is a few pieces of pegboard, bracing wood, and paint (optional). Wall Storage - Bathrooms are typically a storage space nightmare. 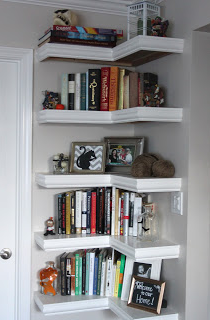 Thankfully, there are creative, crafty people who come up with easy storage solutions. 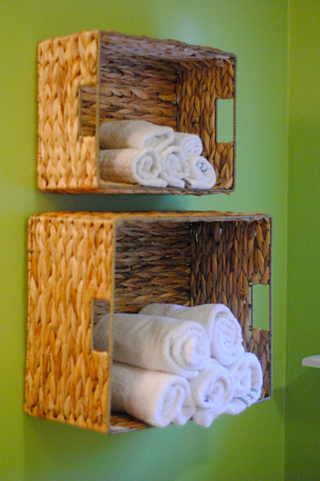 This DIY takes about 5 minutes, it only costs $20, and it gives you the perfect place to store extra towels. Forget about storing your linens in a closet outside the bathroom, under the sink, or in the laundry room, and take advantage of these practical and stylish hanging wicker wall baskets. DIY Slide-Out Cabinet - Follow these easy step-by-step instructions to build the most useful drawer/space saver/pantry EVER! 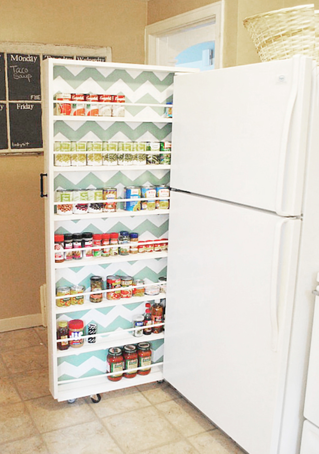 This DIY slide-out cabinet takes full advantage of those few inches between your fridge and the wall, and you get an almost full sized pantry that tucks away in what used to be wasted space. Skinny Sofa Table - If you don’t have room for a coffee table and you can’t find any other small tables that will work, just build your own skinny sofa table. This project only costs about $25, and it provides so many benefits. It utilizes otherwise unused space behind for couch for lamps, plants, decorations, and for a place to set your morning coffee. 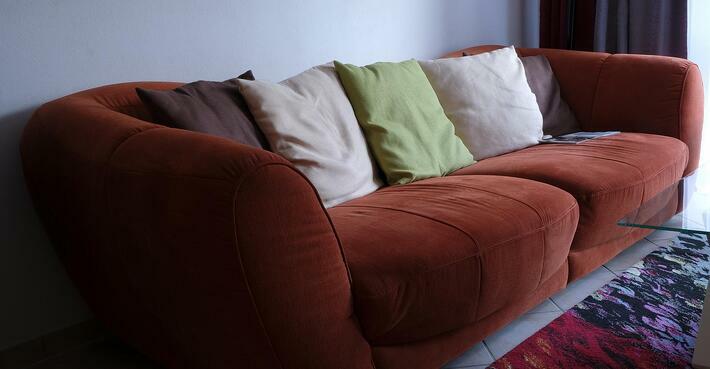 It's important to make use of these tips now, especially before moving out. 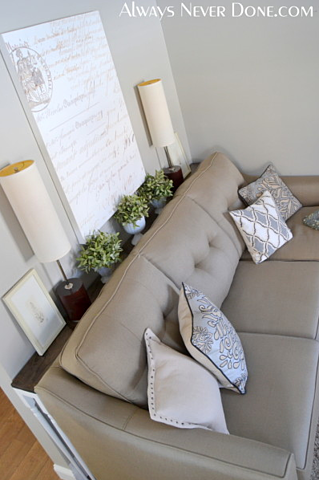 Are you looking for ways to incorporate these tips, perhaps in a new apartment of your own? Please contact us about our listings, or apply at the button below.